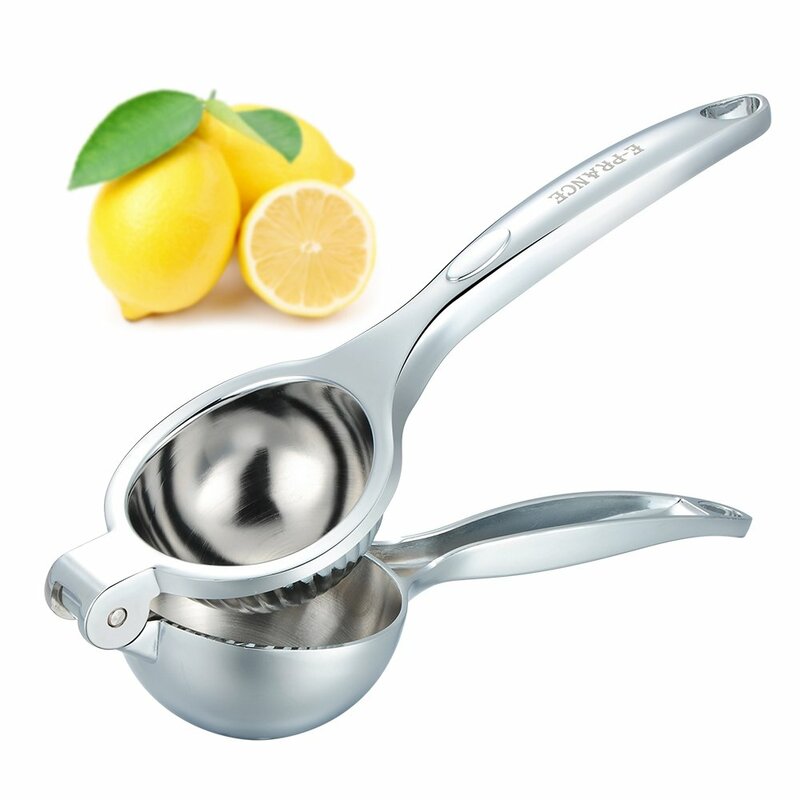 Home › Home and Kitchen › Lemon Squeezer E-Prance Manual Citrus Juicer With Stainless-Steel Heavy Duty .. Lemon Squeezer E-Prance Manual Citrus Juicer With Stainless-Steel Heavy Duty ..
High-strength stainless steel guarantees long time usage, and no toxic material into food while juicing. Efficient and easy to use, just 3 steps to get juice with high yield from lemon, orange, or other juicy fruits. Ergonomic design offers a comfortable grip; raised stripes on the bottom fix the lemon firmly. A must-have tool for any kitchen or bar, ideal for salads, fish, drinks and other cooking needs. Dishwasher safe and easy to clean, just clean it with tap water and it won't rust.